The Church of The Reconciliation is a gorgeous little church, and quite unlike any other in Suffolk. Its setting is simply delightful, and it is of outstanding interest. 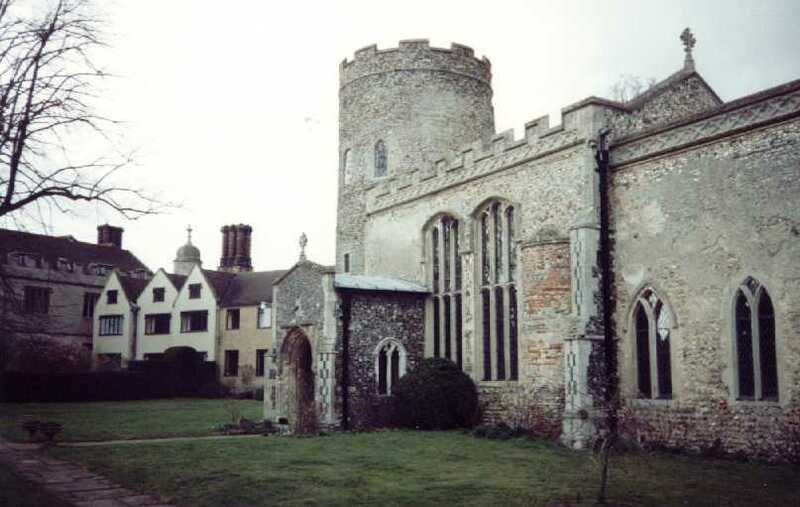 For here, beside the beautiful 16th century Hengrave Hall, we have the only medieval church in Suffolk still to host worship of the Catholic Church. Our Lady of Good Counsel at Clare is also medieval, but is the refectory of the former priory there. This is the genuine thing. The Reconciliation, with sumptuous Hengrave Hall beyond. Obviously, this was not a Catholic church through the long penal years; but it was not an Anglican church for most of them either. Its history is as fascinating as the church itself is beautiful. For a start, this building is very old. 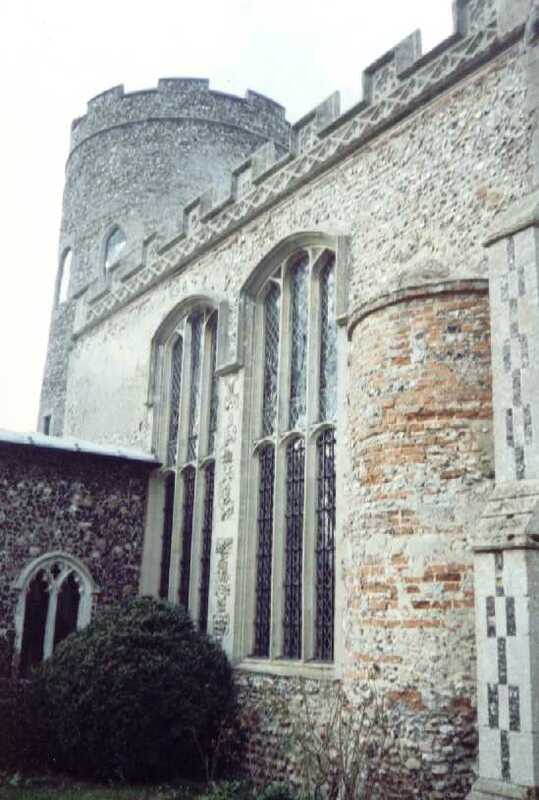 The shape and proportions of the round tower betray its Saxon origins, despite 15th century embellishments. This was, of course, a heavily populated part of East Anglia in Saxon times. In the Bury/Diss/Lakenheath triangle today, there seem to be so many churches, so few people. The nave against it is largely 13th century, with 15th century enlargements and elaborations. Again, earlier work is evident. The north aisle and sweet clerestory are later than the nave and chancel. The redbrick outside of the roodloft stairway in the south wall. 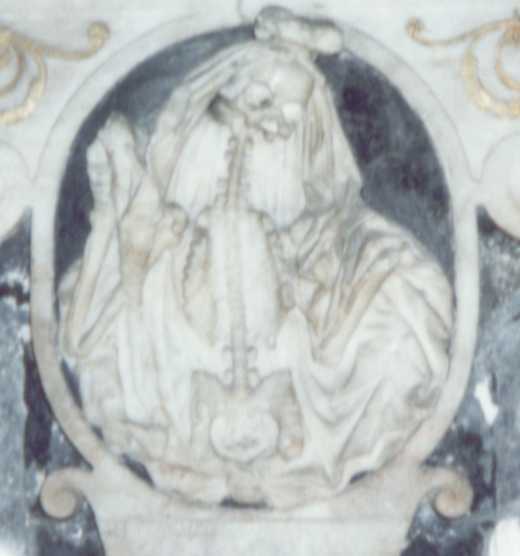 The medieval dedication of the church is uncertain. Many sources cite St John the Baptist, but Cautley (and others) argue for St John Lateran. This is a feast day celebrated on 9th November in the Catholic Church, and refers to the dedication of the Lateran Basilica in Rome. Why dedicate a church to a feast day rather than a person? Quite simply, they were all dedicated to feast days in medieval times. Where we see 'St Andrew', for instance, it was actually to the Feast of St Andrew (November 30th) that the church was dedicated, in the sense that St Andrew's Day was the patronal festival. 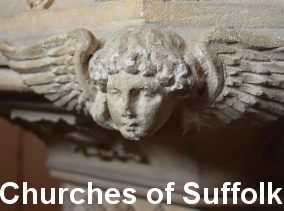 Most Suffolk churches commonly dedicated to 'St Mary' were, in fact, dedicated to 'the Feast of the Assumption of Our Blessed Lady' (August 15th), or, in some cases, another Marian feast day. In the 1530s, Sir Thomas Kytson built Hengrave Hall, and enclosed the parish church within its grounds. Inside of ten years, the Reformation began to change the face of England. By the 1560s, this church was, officially at least, hosting the plainer, simpler Anglican services of Thomas Cranmer. During the intervening thirty year period, the church had undergone radical alterations, in common with all in this land. It was stripped of its rood loft and screen (although a fine rood stairway survives, its outer wall cloaked in red brick). The high altar and chantry altars were broken down. The statues were destroyed. But all was not as it seemed. The grand-daughter of the Sir Thomas who built the hall inherited it from his son, and on her marriage it passed into the hands of the Gage family, where it would remain for nine generations. They are famous for sheltering the madrigal writer, John Wilbye; and, more mundanely, but more interestingly I think, for giving their name to a fruit developed in the grounds, the greengage. But there is something much more exciting about the Kytsons and the Gages, and much more historically significant, as we shall see. In 1589, the parish was suppressed, and merged with that at nearby Flempton. It was not unusual at this time for parishes to be combined, and share a minister; Mickfield and Stonham Parva are another example, as are Little and Great Wratting. But the church here was actually closed for public worship. Why? The church became a private mausoleum. Now, again, it was not uncommon throughout this period for parish churches to be adopted by the seriously rich as family mausoleums; Helmingham is a most striking example. But they usually retained status as the parish church. If nothing else, it was a great show of power to the local riff-raff. Not here, though. Throught the long years of the 17th, 18th and 19th centuries, Hengrave church slumbered as the place where the Kytsons and the Gages buried their dead. Why was this church closed? What happened here for it to be given up? It is very simple. The Kytsons and the Gages were militantly recusant families. They maintained their Catholic faith and identity throughout the penal period. And they were powerful enough to face off the legal penalties that came with such a position. This is less rare in the north-west, for instance, but quite an unusual position in East Anglia. The son of the Sir Thomas who built the hall was powerful enough to have entertained Queen Elizabeth in 1578, despite his Catholic faith. It is said that she tried to argue him into protestantism; in return, he presented her with a beautiful jewel. No wonder, then, that it was easier to hive off Hengrave church from the diocese of Norwich, than to tolerate the recusant priests that Sir Thomas, as patron of the living, would no doubt impose on them! The nave, looking north-east. The north aisle lies through the arcade; the archway behind is into the north aisle chapel, beside the chancel. So, we may presume that the burial of these people was accompanied by full Catholic rites; and, as early as the 18th century the Gages maintained a priest for their private devotions. In 1900, the little church became a private chapel rather than a mausoleum. In the 1940s, Hengrave Hall was sold, and came into the possession of a Catholic order of nuns, the Sisters of the Assumption. The baptistery beneath the tower. Very Vatican II. They ran the hall as a boarding school for a few years; and then, in the seventies, it became an ecumenical retreat centre, with the church as its chapel. Knowing all that we do, then, let us approach the Church of The Reconciliation from the main Bury to Mildenhall road. The sign on the gate says No Parking, but I do not think the sisters would mind too much if you left your car in the large car park at the front of the hall. So, drive on, past the large lake and its squawking geese, and find the church enclosed by a hedge, and set in neatly-clipped lawns. No graves, for who was there to be buried outside of it during its long years of private use? The hall lies beyond. When built, it was three times as big as it is today, two wings having been demolished in an 18th century belt-tightening period. Approaching the church, we see a number of details; the pretty little tower, and the bulk of the nave that crowds against it, almost as tall. We see the chancel, with its east window of interlocking Ys. We see the redbrick drum of the rood stairs, and on the north side the aisle, with its extension into the chancel. We see its delightful clerestory. And so, we step in, through the south porch. Once we pass the elaborate holy water stoup, and push open the door, we are momentarily disorientated; the inside seems so unfamiliar. For one moment, it is hard to work out which way is east. The body of the nave has been cleared of all benches, except for a few which have been arranged in a circle, facing each other. To the north, under the arcade of the clerestory, stands a rustic wooden cross, made of tree branches. 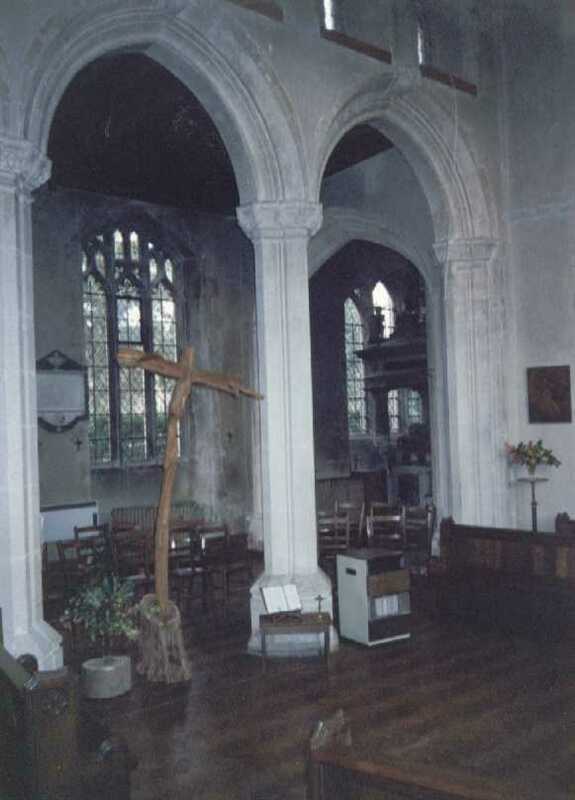 Beyond it, in the north aisle, an altar is set against the north wall, with modern chairs clustered around it. Serious angels in the arcade. There is no focus to the east at all, and it takes one moment to convince onself that the arcade to the right is, in fact, the chancel arch. A large icon hangs to the left of the arch, and a tombchest just beyond the archway was clearly once used as an altar, but no longer. Stepping through the arch is like stepping into a quite different building altogether; for here, we have two of Suffolk's largest and most sumptuous tombs. Only the Howard memorials at Framlingham can outdo them. 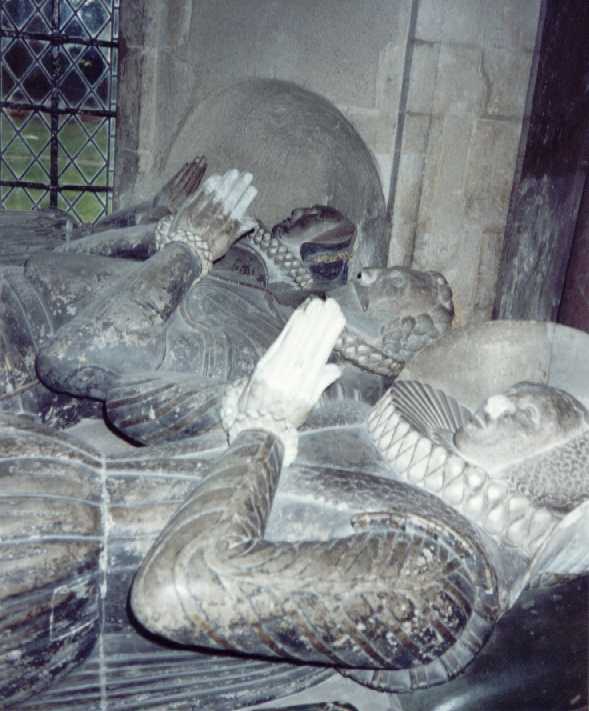 To the south of the chancel lies Sir Thomas Kytson's great memorial of 1608. This is the man who countered Elizabeth's protestantism with beauty. It is a vast, cuboidal thing, all of nine feet long by five feet wide, and as tall again. It resembles nothing so much as a huge, four poster bed in stone. 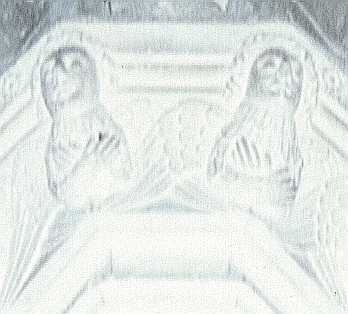 Sir Thomas lies in the middle of it, flanked by a wife on each side. Presumably, this is to show that his first wife died and he remarried, but in these modern days it really looks rather racy. Their emblems of a deer and a unicorn keep a wakeful watch at their feet. Across the chancel, and actually in the north aisle chapel (although such designations mean little here, as you'll realise), is another huge 1561 monument to Margaret, Countess of Bath. She lies in a similarly vast stone bed, with her second husband beside her. She keeps her first husband on a shelf below; a much more practical arrangement. Walking back into the chancel, we pass several other monuments, including one where a cheery skeleton opens its shirt to reveal his elaborate anatomy. Sir Thomas snuggles in between his two wives. A prayer before bedtime. A bit racy, from this distance in time. A skeleton reveals all on the wall monument to Thomas, Lord D'Arcy, who died in 1618. The former high altar space is now occupied by a wooden platform. Standing on it, we look westwards again, to the space below the tower, now converted into a baptistery. 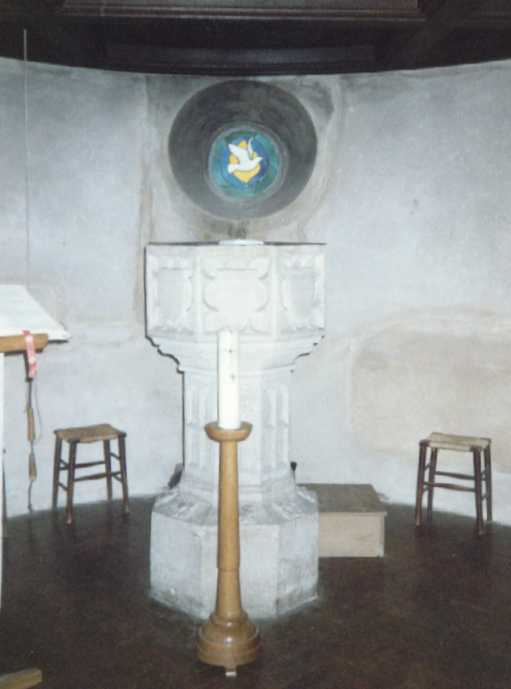 The font seems to be set on the upturned bowl of another; Cautley thought them both medieval, although whether either of them originally came from this church or not is not clear. 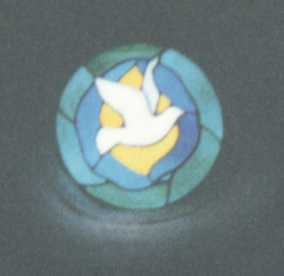 Behind, a modern little roundel glass shows the Holy Spirit descending as a dove. All here is neat and simple, fitting for post-Vatican II worship. The community uses this church for its daily offices; and, although Mass is usually said on weekdays in the oratory inside the house, a Sunday parish Mass is sung in the church. There now also seems to be a regular Anglican Eucharist, on a Friday when I visited. A few weeks later, I was passing this way with Aidan Semmens, on our way to photograph angels at Mildenhall, when I suggested we drop in and visit. We got as far as the porch, before hearing the sung chant of the offices within. So, we turned away, not wanting to disturb the worship. And, at 1pm on a Wednesday afternoon in winter, there aren't many Suffolk village churches you can say that about. You can also visit the Hengrave Hall website.